Photographs purportedly showing shooting victim Trayvon Martin are actually pictures of other people. Claim: Photographs document 17-year-old shooting victim Trayvon Martin was a muscular, 6’2″ man. Is this in fact a picture of the 17-year-old student who was shot last month? Recognize these two people? If you don’t, we’ll help you out. 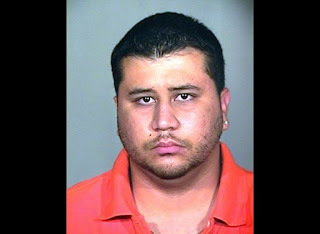 The man on the left is George Zimmerman, the man accused of murdering the boy on the right, Trayvon Martin. The mainstream media won’t show you these two photos because they convey a message that no one else wants to take into consideration. The kicker? The photo on the right was of a different Trayvon Martin. One that was still alive and in no way related to the deceased. [T]he photo in question came from a Facebook profile belonging to a living breathing, middle-finger-flipping Trayvon Martin who lists his school as Myers Middle School, not Dr. Michael M. Krop Senior High School. Additionally, all of his relatives are listed as living in Savannah, Georgia. The late [Trayvon] Martin grew up in Miami Gardens. We made a mistake. The photo on the right is not of the Trayvon Martin who was shot by Zimmerman. We apologize to our readers and to the Martin family. One of my favorite rants…the liberal controlled media… television news… newspapers… magazines… radio… all continue to show 12 year old Trayvon… NOT 17 year old Trayvon… they continue to show the 5 year old picture BECAUSE it helps to cement in your mind the little, cute, Hoodie wearing youngster who was stalked by this monster. In reality..”little Trayvon”…at the time of his death…stood almost 6’2″ tall…weighed 175 muscular pounds. That image was also not a photograph of Trayvon Martin at all, but rather a picture of rapper Jayceon Terrell Taylor, better known by his stage name Game. The confusion apparently came about because the latter’s photo was used to accompany articles in which he commented on the Trayvon Martin shooting, and someone later erroneously conflated his image with Trayvon Martin’s name. The medical examiner’s report on the death of Trayvon Martin indicated that the deceased was actually 5’11” and weighed 158 lbs., and he had two tattoos, none of which was on his face, neck, or the back of his hands (one was on his right arm and the other on his left wrist).